A FRENCH MINISTER RESIGNED recently when it was found that he had employed his two teen-aged daughters in his office. Bruno Le Roux’s daughters worked as parliamentary assistants during holidays and paid from public funds. In contrast, most Indian politicians, who misuse their power to accumulate wealth or commit other illegalities, deny it vociferously, defend their acts, get their parties to back them and then quit, only when forced to and disgraced. 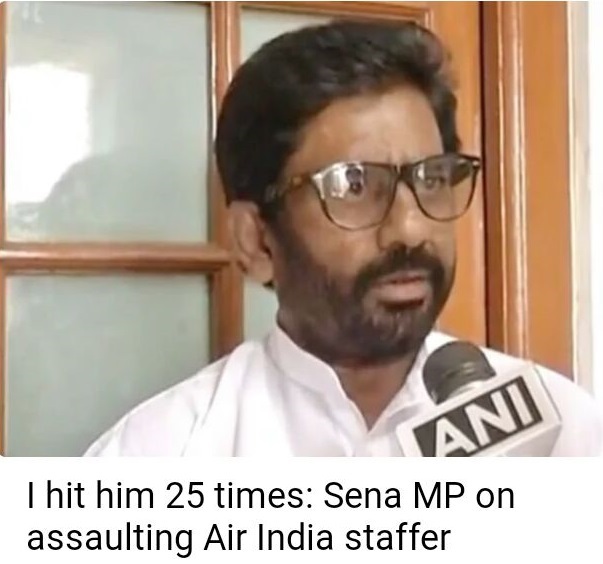 Shiv Sena Member of Parliament Ravindra Gaikwad allegedly assaulted a 60-year-old Air India staffer,R.Kumar, on March 24. Kumar did not misbehave, abuse or beat the MP. He did not fail in his duties. His ‘offence’ was not giving the MP a ‘business class’ seat. He had to sit in the economy class with other ‘common’ people in the plane. The MP, whose actions were supported later by the Shiv Sena, which saw no ground for any disciplinary action, beat Kumar with a shoe he was wearing, broke his spectacles, abused him in foul language and tried to kill him by throwing him from the aircraft. Gaikwad refused to apologise, saying it was not his mistake and that first Air India should apologise. He boasted that he hit Kumar 25 times with the shoe, as if beating a helpless, subordinate, unarmed man was the only lesson he had learnt from the great Chatrapati Shivaji by whose name he and his party swear. And as of March 27 morning, he is still a free man and not behind bars as he should be. He was obviously illiterate, ignorant or power-drunk to not see that it was an ‘all economy class’ plane which, according to press reports, had no business class. If not giving him a seat that does not exist justifies Kumar being assaulted with shoes and thrown off a plane, what punishment should the MP get for his failure to see it was an all economy plane? The man who saluted and cringed before people begging them for votes less than three years ago, feels insulted today to sit with common people in the economy class. And his party feels he was fully justified. Perhaps it wants to remind the people that it was founded by an admirer of Adolf Hitler, was named SS like the barbarian Nazi SS and shares its culture and morality.The party, (if the extortionist gang collecting protection money from traders and beating up anyone it opposes can be called that) had indulged in violence several times before. It broke with the BJP on the eve of the Bombay civic polls. Such an uncultured, brutal ‘man’ was actually elected to Lok Sabha from Osmanabad in Maharashtra, perhaps because he belonged to the voters’ caste, even though he had eight criminal cases against him, including charges related to homicide, rioting, criminal intimidation and stopping public servants from doing duty. He reportedly force-fed a fasting Muslim during Ramzan in 2014, which alone should have disqualified him from holding any public office. Thousands of responses to the report on news websites supported the airlines’ action in putting him on a ‘no fly’ list and condemned the MP. It is clear that even if an FIR is filed against the MP later to ‘let the law take its course’, the case would drag on for decades and nothing would come of it. And the charges would be watered down. The Central government’s attitude towards the unfortunate event is seen in the statement of the Civil Aviation Ministry that the ‘legality’ of Air India and some other airlines in placing him on a ‘no fly’ list was being ‘examined’. Lok Sabha Speaker Sumitra Mahajan said she will ascertain details and act on any complaint as the incident occurred outside the Parliament. And the Prime Minster, as usual, maintained silence. All this because Shiv Sena is a partner in the ruling NDA despite its attacks on the BJP and Modi almost every day while continuing to enjoy the fruits of power. Perhaps Narendra Modi thinks it is ‘coalition dharma’. If he had any sense of propriety or shame, he would have used this occasion to end the coalition partnership with SS. In the long run SS would prove to be a millstone around its neck, as Shiromani Akali Dal was in Punjab. Congress MPs are known to have thrown their weight around and humiliated others. last week its ex-MP, V. Hanumantha Rao, abused police officers on duty in Hyderabad. Another Congress MP who attacked a road toll outpost with a gun was later admitted to BJP in Gujarat, as was a former Congress leader who was taped cavorting with two naked prostitutes on a bed in a Raj Bhavan when he was a Governor. Hanumantha Rao, caught on video misbehaving with a policeman was arrested on March 24. Protesting over the FIR lodged against him, he said, “This is a conspiracy against me. 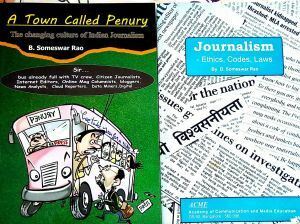 I am from a backward class and, therefore, they are trying to put pressure on me. I did not say anything wrong.” When things get hot, Gaikwad too will play the caste card, as he too is from a backward caste. The BJP, imbibing Congress culture, appears to be more interested in retaining power than in principles. Having come to power with the help of the fringe elements, it would try to retain it by supporting them. If this is what dirty politics does to a party with an ideology, which BJP claims it is, what it can do to lesser parties can only be imagined. Political leaders misbehavior with bureaucrats is increasing. These offenders are being witnessed by the public. Judiciary should act at once and punish the culprit to promote morales in the public. The ‘Dalit’ card has become the trump of BC leaders accused of crime or misbehaviour. The silence of PM Namo and the LS Speaker Mahajan suggests that they either think that Gaikwad was right or they are powerless to do anything to enforce discipline. What a pity!